Westlake Village, CA: CallSource debuts EveryLead, the integrated CallSource and ELEAD1ONE Dashboard to help automotive clients analyze every step of their consumers’ journey to their dealership. The EveryLead dashboard was first premiered at the NADA (National Automobile Dealers Association) Conference in March in Las Vegas and officially became available to all automotive clients as of June 2018. EveryLead gives you the complete customer journey – both online and offline – from when they first became aware of your dealership to when they ultimately called, emailed, or made an appointment with your business. With this dashboard, you will see the complete consumer journey to your dealership. Awareness: Accurately tracks each channel at every stage of the buying cycle. Interest: Tracks and records each consumer’s interaction with your dealership. Consideration: Gathers data to help you understand their buying intent and make the sales process simpler. Purchase: Arm your sales team with the details they need about their customer to get them in the driver’s seat. For the first time, you can know the model and trim package of each vehicle a prospect has viewed – both on your website and on the websites of other dealers. While other web analytics systems report only the last website visited before yours, EveryLead can track the entire consumer journey across multiple domains both before and after they visit your website. Monitor your dealerships inventory traffic through EveryLead’s Inventory Analysis. See what vehicle make and models consumers are in the market for in addition to seeing what other competitor sites they are viewing. EveryLead also enhances Google Analytics data; it does not replace it. EveryLead works alongside Google Analytics to refine consumers online interactions, give more accurate reporting, add a level of precision to lead acquisition, and update goals. “EveryLead also has a built-in, best-in-class texting solution,” Parr says. “This includes the unique ability to run both voice and SMS messages on all static and digital campaigns. This will give the customer the option to call or text, and dealers will see a 10% increase in total lead volume. 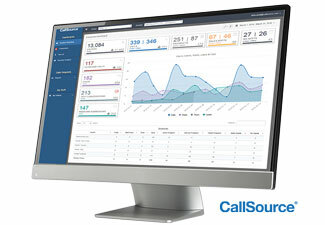 For more information on CallSource, visit www.callsource.com.